Sharing large files is easier than ever nowadays, yet there are situations when users need to compress their files due to file size limitations. Also, compressed files have a lesser impact on users’ system resources, preventing unnecessary strain on their computers. There are plenty of compression tools available on the market, and choosing the right one for you can turn into an annoying task. To make this action time efficient, we’ll list the best compression tools currently available for Windows 10, together with their main features, and you can choose the app that meets your needs the best. 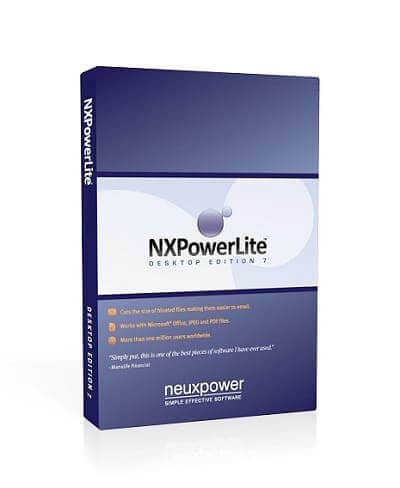 NXPowerLite Desktop 8 is a powerful tool which allows you to compress and optimize Excel, PowerPoint, Word, JPEG, and PDF files up to 95% without losing any quality and free up disk space or send them by email. Optimized and compressed files retain the original format and are fully editable. It’s especially effective for office work and for people who work with lots of multimedia files. The advanced settings give you the possibility to set the desired balance between quality and compression ratio. Additionally, this software integrates with Microsoft Excel, PowerPoint, and Word as well as email clients and automatically compress attachments when they are sent. This tool is available for free in a 14-day trial period. However, if you consider the paid version, you can buy it for 55$. 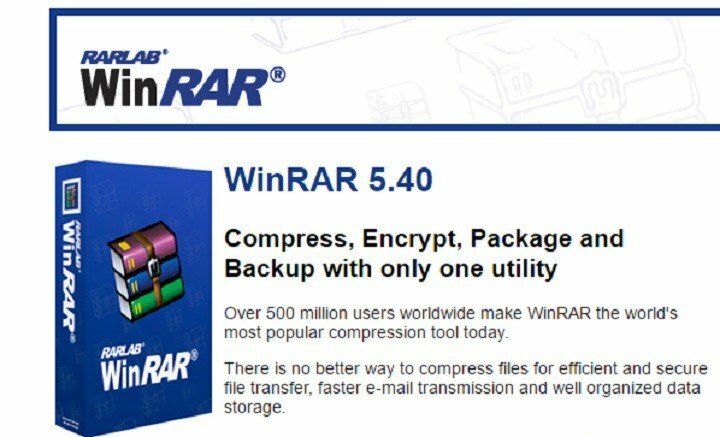 WinRAR is a powerful compression tool, with over 500 million users worldwide standing proof for the tool’s performance. It compresses files for efficient and secure file transfer, faster e-mail transmission and organized data storage. The tool is also available in over 50 languages. WinRAR supports the following compression formats: RAR, ZIP, CAB, ARJ, LZH, ACE, TAR, GZip, UUE, ISO, BZIP2, Z and 7-Zip. Users can also split archives into separate volumes, making it possible to save them on several disks. Its 256 bit password encryption and its authenticated signature technology ensures secured file transfers. WinZip is perhaps the most popular compression tool for Windows 10, with more than one billion active users. This tool is more than a simple compression tool as it also allows users to share, manage, protect and backup their files. WinZip unzips all compression major formats, such as Zip, Zipx, RAR, 7z, TAR, GZIP, VHD, XZ and more. Users can also find, open, edit, move and share the files stored on their computers, network or cloud service. WinZip also encrypts files to secure information and data, and can create read-only PDFs and add watermarks to deter copying. 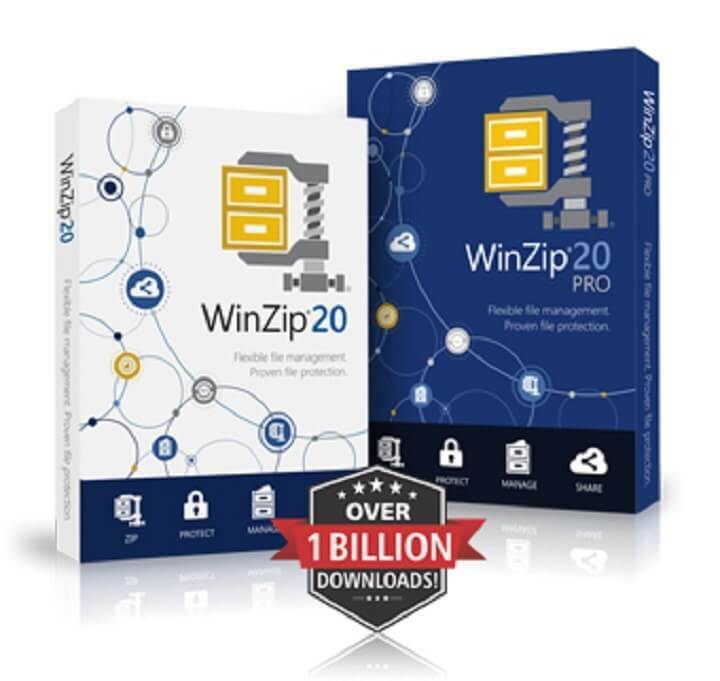 You can download the standard version of WinZip for free via TrialPay or buy the latest version, WinZip 21.5 Pro for $35.78. This compression tool is 100% free, and delivers a high compression ratio. It packs and unpacks the following file formats: 7z, XZ, BZIP2, GZIP, TAR, ZIP and WIM, and can unpack more than 30 file formats. 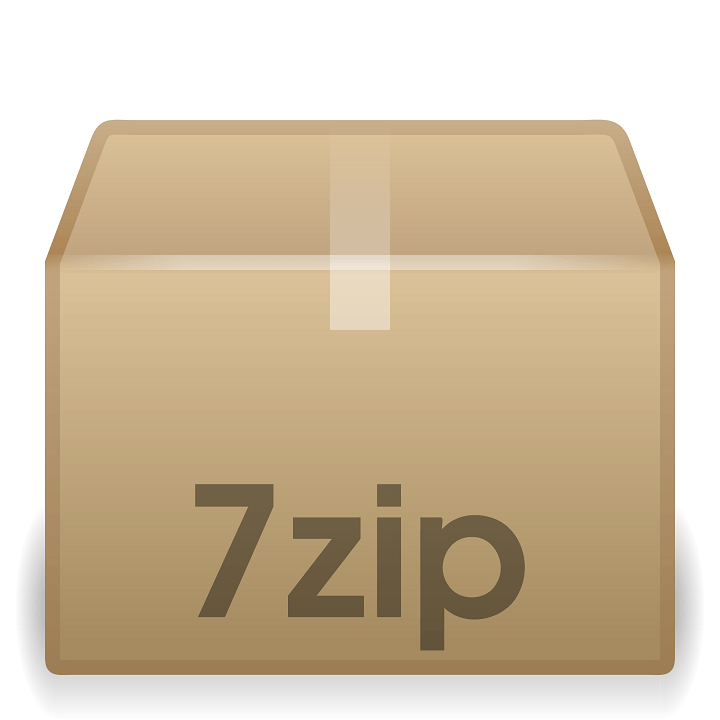 You can download 7-Zip for free from the official 7-Zip page. 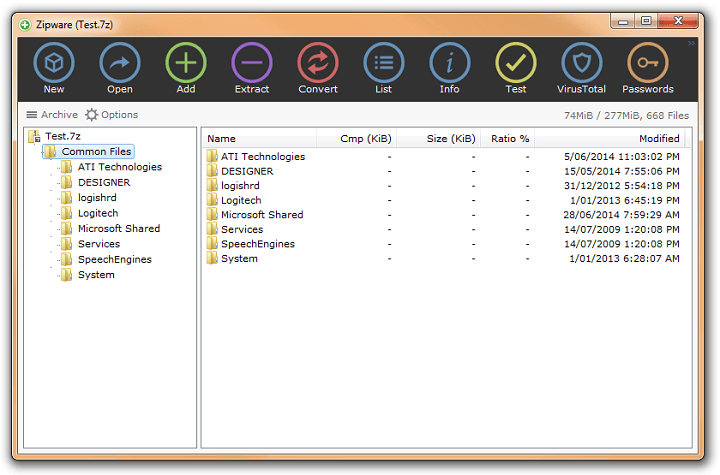 PeaZip is free file archiver utility that works with more than 180 archive formats. If you’re tired of ads, you’ll be glad to know that PeaZip doesn’t contain any ads. This tool also deploys a powerful and complete file manager, and strong security features, such as strong encryption, encrypted password manager, secure delete, and file hashing. The user interface is very friendly, with an intuitive design. You can download PeaZip for free from the official PeaZip website. PowerArchiver is a professional compression utility, able to operate with all the compression formats currently available. Apart from its compression capabilities, this tool can also encrypt files, reduce their size by 90% and back them as well. It’s the first tool to offer jump lists, taskbar progress and taskbar icon overlays. UAC elevation support required when it detects the need for admin account in order to read or write in some folder. VSS support for database compression. You can download the Stardard Edition of PowerArchiver 2016 for $22.95 or the Professional Edition for only $34.95. 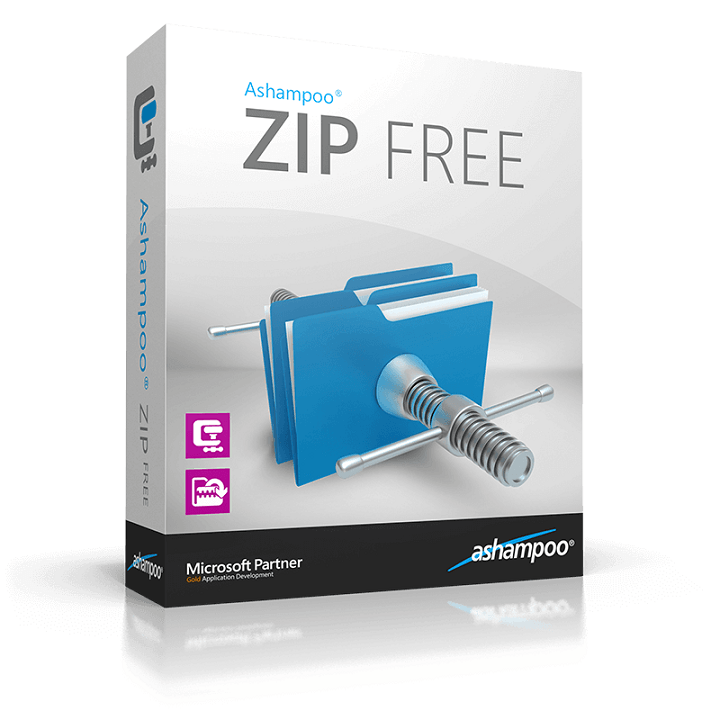 Ashampoo ZIP FREE compresses and decompresses files fast and easily. It supports creating and extracting ZIP, 7-ZIP, CAB, TAR (TAR, TAR.GZ, TAR.BZ2, TAR.XZ) and LHA formats. Well-designed graphical interface, very intuitive and easy to use. Powerful AES encryption with 256 bit strength. 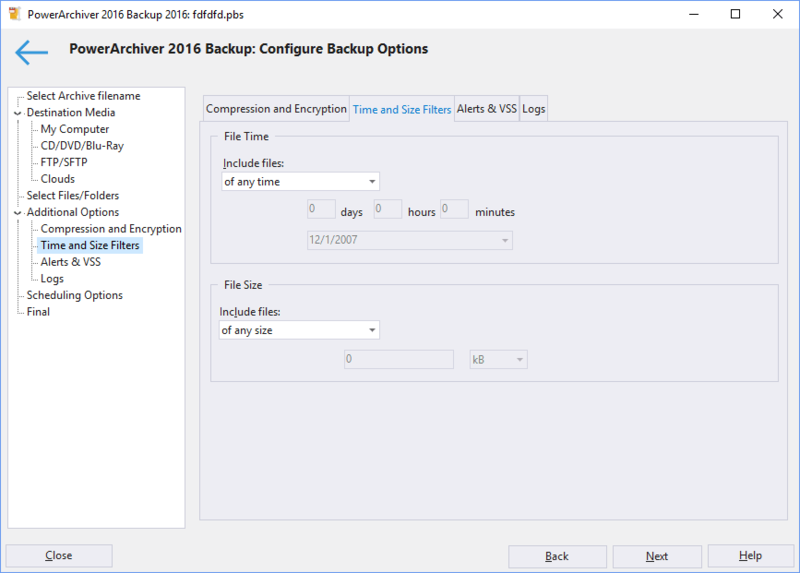 Unlimited size of the archive, unlimited size of files inside archive and unlimited number of files inside archive when using ZIP and 7-ZIP formats. Integrated Preview that supports many different image, text and other file formats. Preview files without ever extracting them from archive. Repair ZIP Tool – Repair broken ZIP files. You can download Ashampoo ZIP FREE for free from Ashampoo’s website. This free compression utility creates archived files in various formats, and can open and extract them as well. Bandizip is lightweight, has a very fast Zip algorithm for compression and extraction with Fast Drag and Drop, High Speed Archiving, and Multi-core compression. However, it handles only the most popular compression formats. Bandisoft regularly releases updates and bug fixes for this tool, and will probably add more compression formats to its tool in the future. If you want an ad free compression tool, with a very user-friendly interface, that costs you nothing, download Bandizip from Bandisoft’s website. Zipware is a free compression tool that is very simple to use. This tool supports all major archiving formats including the new RAR5 format, and is fast and stable to handle both small and large archives. 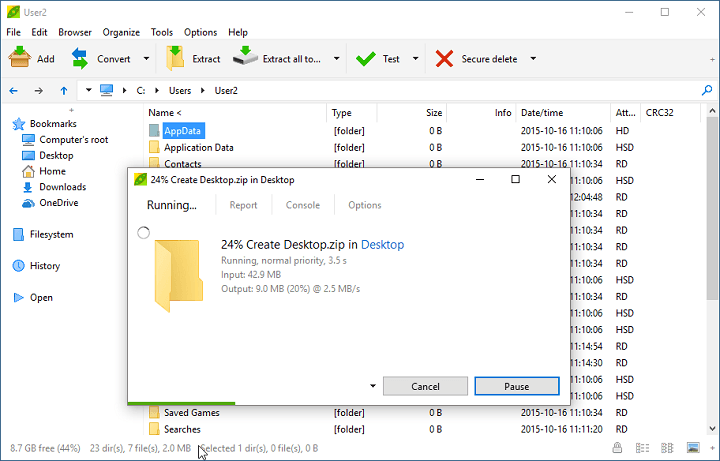 Zipware offers full drag and drop support with Windows Explorer. The Windows Explorer context menu can scan any files using over 50 anti-virus products via VirusTotal.com, securing your folders. This compression tool also converts the supported archive formats to zip, 7z or exe. You can download Zipware for free from Zipware’s official website. As always, if you’ve already used one of the compression tools listed above, you can tell us more about your experience in the comment section below.